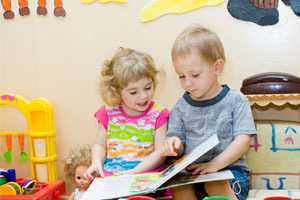 Rising Stars Child Development Center offers a variety of programs for all ages under 6 years old. Whether you have an infant, toddler, or preschool/pre-k child, we have a program for you! 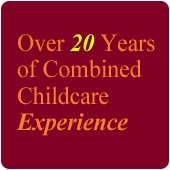 We have over 20 years of combined staff experience in child development. 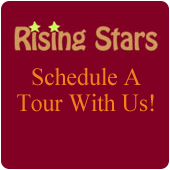 We also require our staff to take educated courses throughout the year to better serve our "family" at Rising Stars. 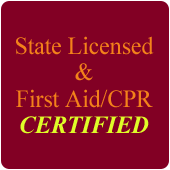 Being a state licensed facility and staff that are first aid and CPR certified, you can be assured that your child will be in safe hands and proper care. We understand the importance of the learning process of children and our programs are based on catering each program to the appropriate age group. We take into account that each child is unique and that the learning process will vary for every child. 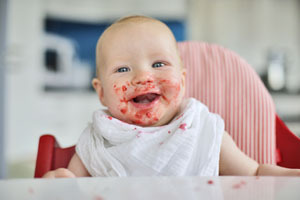 We take pride in being a facility that will have the proper staff to child ratio so that each child is well cared for. Rising Stars Infant program (6 weeks - 24 months) provides a loving, caring, safe “home like” environment that is filled with music, laughter, and an abundance of TLC. Rising Stars Preschool / Pre-Kindergarten programs (3 years - 6 years) provide an environment that incorporates play, as well as an enhanced learning atmosphere to prepare them for the transition into a more traditional form of learning.